To celebrate Monday 25th January, “Blue Monday”, allegedly the most depressing day of the year, we present Angie Mariani’s talk about the ‘suicide song’. 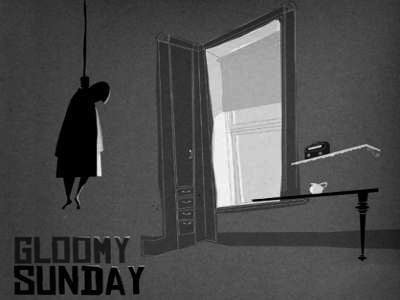 Gloomy Sunday has been performed by hundreds of different musicians and is associated with countless incidents of suicide and death. Angie discusses the legends that surround the song, and plays us a variety of versions. Meanwhile in the studio fat David is at the end of his tether, and Dr Bramwell works with him to help find the best way to end it all.